The fog rolled in for the start of week 3, but with temps at 45°—almost three times warmer than 2 weeks ago—and chance of rain disappearing, not too many people were complaining. By the time the A race started, the temps we in the 70s and everyone was no trying to get used to the “heat”. The C race saw a few moves go early but generally stayed together, though, single file with a high pace. With about 5 laps to go one rider rolled off the front, taking about a 15 second lead. 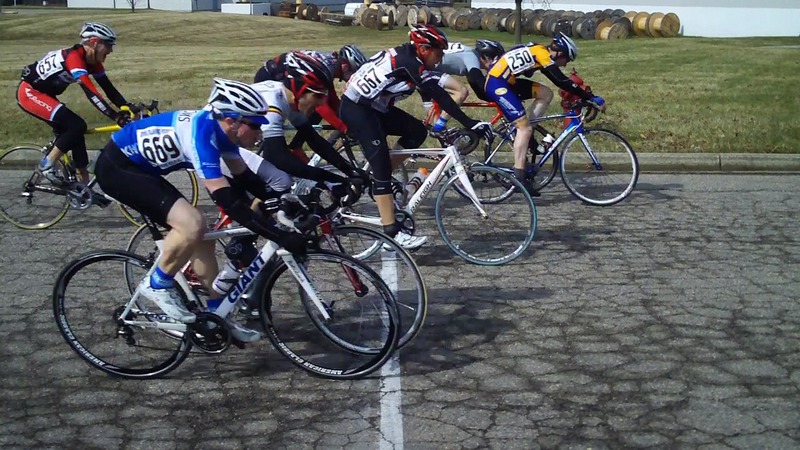 With 3 to go the very strong new comer, Evan Boese, took chase as finished as the lone rider off the front. The women's race was fast from the start with the small field working well together and staying single file throughout their contest. When it came to the finish, Sarah Demerly took charge and took the sprint. "B" field stacked up at the finish line. 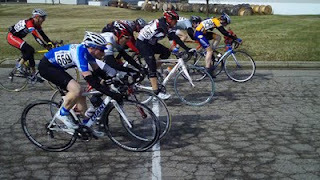 The warm weather helped the field sizes grow, and the B race saw a good sized field keep a good tempo throughout the race, made more challenging as the fog burned off and the winds picked up on the back side of the course. David Manges made a late race escape, staying clear of a crash that took out a few riders in the sprint, and he finished just off the front of the rest of the charging field. The A race was again quick but battling into the growing headwind on the backstretch meant good chances for a break to roll away. Vince Roberge went early and fast, soon joined by 5 others before leaving them behind to lap the field on his own and go back off the front again. A couple chase groups slipped away in the second half of the race leaving the field to fight for 13th place, while Vince hung on strong for the win. Full results are posted on the results page. Prizes for the Women's Race Sunday!